Almost everyone has a Facebook account. Checking it and posting to it regularly (follow me at www.facebook.com/BeKnownForSomething). 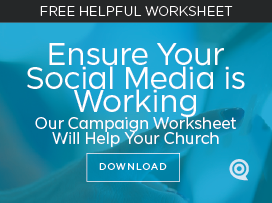 The majority of churches have (or should have) a Facebook page, but most need to improve their social media presence. If you’re a church communicator, you’re juggling a lot of things and don’t have a lot of time, but you still need to engage your congregation better where they spend time. And your members are meeting on Facebook regularly, many times a week, and often many times a day. Boost Your Posts. Facebook makes it easy to promote and push posts (login as an administrator and it’ll be a button under the post). Do it. Sadly, regular posts don’t get pushed to everyone following your page. You must boost to reach more followers. Which post to boost? Start with an entertaining one that demonstrates your new rhythm. 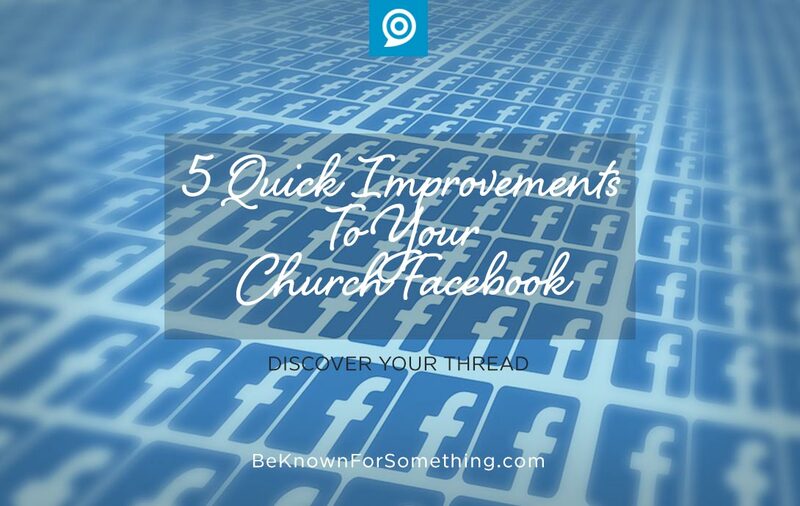 These 5 things will set a foundation for a great church Facebook page, but it’s not a one-time fix! It’s a continual process that you must set in place and monitor; all while adjusting and learning.